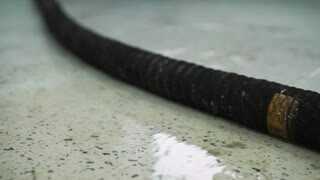 Water flow treatment system from the water pump pipe.Motion of water gushing out of the pipe from Koi Pond Carp fish farm for oxygen.Water was drain by tube pvc.Industrial wastewater treatment. 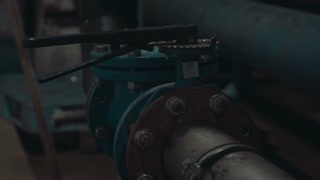 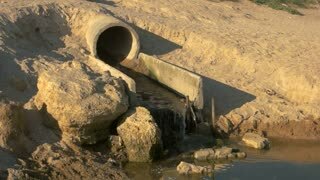 Water flowing from sewage pipe. 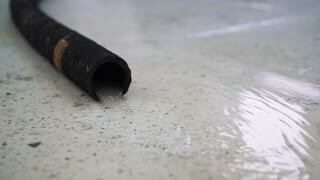 Concrete and sand. 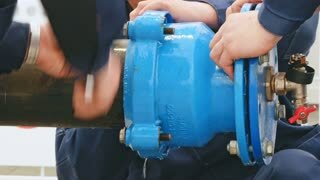 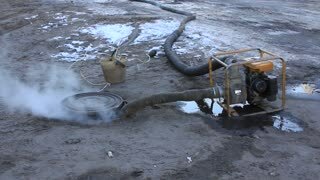 Common wastewater problems. 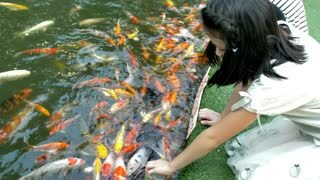 Asian child feeding fishes in a garden pond. 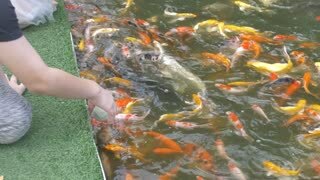 Children feed carp Koi fishes from a baby bottles with a special liquid fish food.